The name says it all! 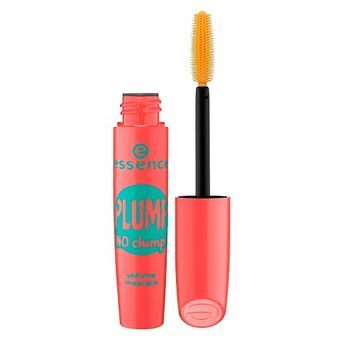 Essence plump no clump! volume mascara has large elastomer brush with an integrated reservoir that generates mega-volume without any clumping. It gives you jet black, full volume lashes and will be a stunner for sure! Get perfectly, defined lashes with no clumps. Has large elastomer brush with an integrated reservoir that generates mega-volume without any clumping. Get black lashes with volume.